Pitt confirmed Thursday that assistant coach Jeremy Ballard is set to leave the Panthers to become an associate head coach at Virginia Commonwealth University next year. After dealing with three other departures from the Pitt basketball program in the last two weeks, Pitt head coach Kevin Stallings confirmed Ballard’s leave and ascension to associate head coach status. Ballard is familiar with the VCU program, thanks to the three years he already spent with the Rams as an assistant from 2012 to 2015. He then left to assist at Illinois State for the 2015-16 basketball season before joining the Panthers last April. His second stint in Richmond won’t just be familiar just in terms of location, but he goes back to work with old colleagues, too. Ballard will serve as associate head coach to VCU’s new head coach Mike Rhoades, who worked alongside Ballard as an assistant at the same school for five years. Rhoades then left to become head coach at Rice University in 2014. After back-to-back 12-20 seasons in his first two years, Rhoades led the Owls to a 23-12 record last year — the third-winningest season in school history. 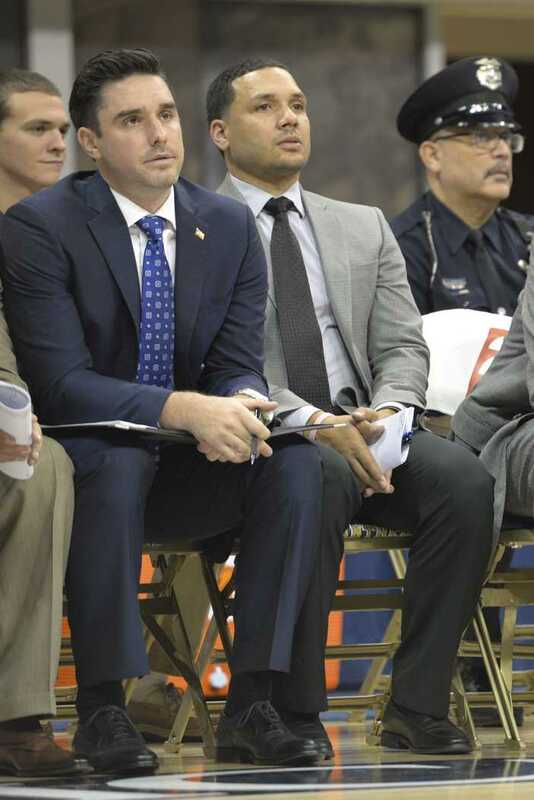 Before coaching at VCU, Ballard assisted at Tulsa for five years, from 2007 to 2012. As a member of the Hurricanes’ coaching staff, he helped the team to three 20-win seasons and coached or recruited three NBA players: Jordan Clarkson, Jerome Jordan and Ben Uzoh. Ballard’s departure comes after three players — Crisshawn Clark, Corey Manigault and Damon Wilson — all have opted to transfer away from the Panthers. In addition to these three losses, the team dismissed Justice Kithcart prior to the regular season finale March 3 for conduct detrimental to the team. Pitt is also graduating four seniors: Chris Jones, Jamel Artis, Michael Young and Sheldon Jeter. In all, Stallings will have to replace eight players from the 2016-17 squad. The tumultuous offseason comes after a disappointing first year under Stallings. The Panthers failed to qualify for the NCAA Tournament or even the National Invitation Tournament after posting a 16-17 record, their first losing season since the 1999-00 campaign.